Fairy crafts and fairy tip-toeing as we walk along Brenda's path in her gardens. 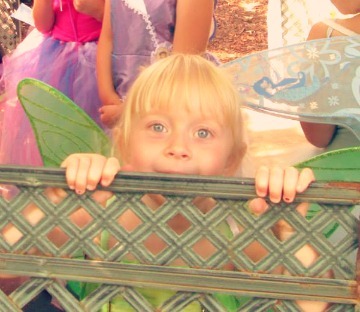 Fairy wings and costumes are always welcome but not required! Our fairiest tea menu looks something like this: The menu is first chosen and planned around the littlest ladies. Recipes such as ants on a log and ham and cheese flowers have been enjoyed in previous years. Very kid-friendly foods. Something special just for this tea, we offer a beverage selection. Tea or lemonade will be offered.